© Giuseppe Penone. Courtesy of the artist and Gagosian Gallery. according to the steps I’m allowed to do. there is the eye underneath vibrating, quivering. 1992, twelve years ago in Paris. Soft snakes of time were resting on a branch, one over the other, shaped by Penone’s fingers. Human and inhuman. I only had to close my eyes to see my own life contained in those simple forms of clay and wood. My thoughts fell on a piece of paper, and yet I never sent it to the Italian newspaper I was writing for. Later in Turin. I met the man of the woods and gave him that sheet of paper, my crumpled leaf. We spent the afternoon walking from his studio to other artists’ houses, sitting at the kitchen table, talking, drinking coffee or wine. Sort of countryside life in the city. Penone had been invited to San Diego to produce a ‘site specific’ work for Insite. “They don’t understand I am a sculptor, I can’t go,” – he tells me. “The first time I refused because my dogs need me.” “Bring the dogs,” they insisted. “I can’t come because I have chickens.” It was the end of it. 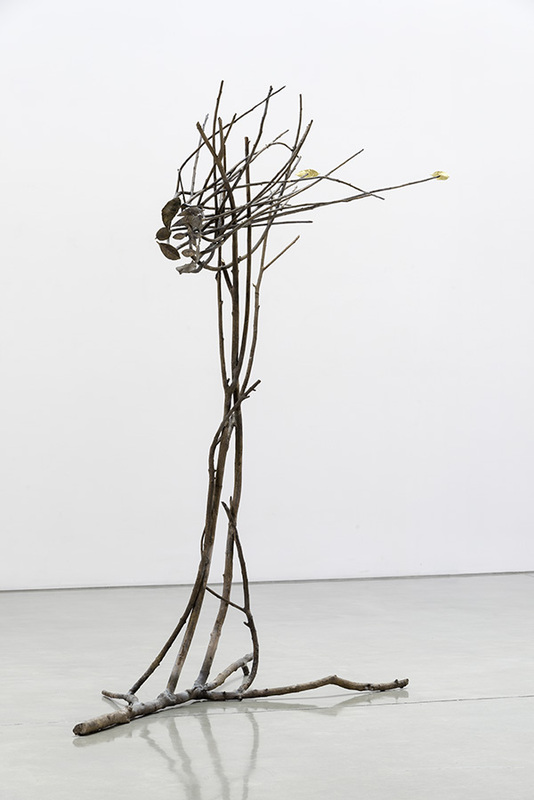 Today his sculptures are in Los Angeles, a one person exhibition at Gagosian Gallery. 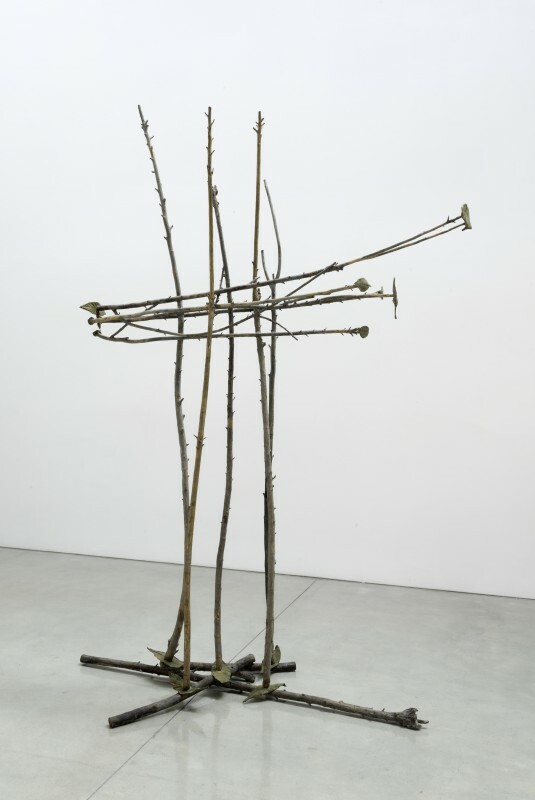 Please reader, try to think Italian when you look at Penone’s art: tree in Italian is albero (male) and pianta (female). Branch is ramo, or la rama, always male and female. Earth, ground, is la terra. Our words are never neutral, neither is our thinking that is often dressed with natural images looking like metaphors but they are not. Skin, la pelle, is the wrapping form of any living entity, stones included. La pelle d’uovo, l’uovo di Colombo, and dried up humans stuck like sugar candies in their wishes for branches of intellectual superiority. Penone shows the lightness and power of our natural siblings with no fear: they can be freed by the layers of time as human cannot, the trees’ physical childhood can be exposed. A sort of magical thinking is simply natural to those who grew up in the woods, animistic or anthropomorphic. Words are a stop in time. 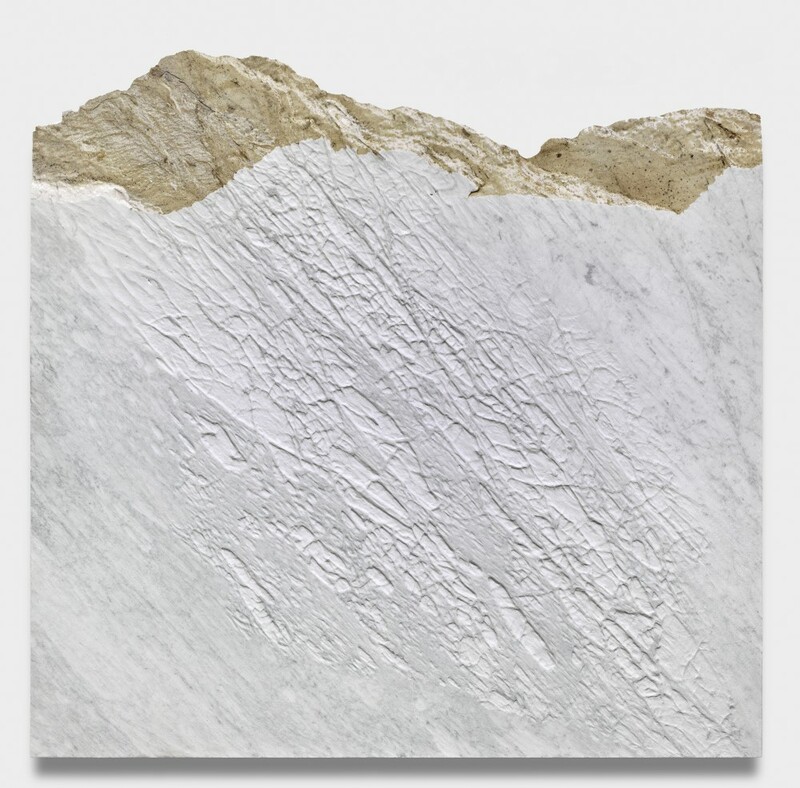 The artist’s actions instead, excavating time out of the marble skin vein by vein, gives a voice to the reworked surface of the mountain, and many new faces. La pelle del monte. A piece of marble disseminated with eyes underneath the surface, and layers of organisms. 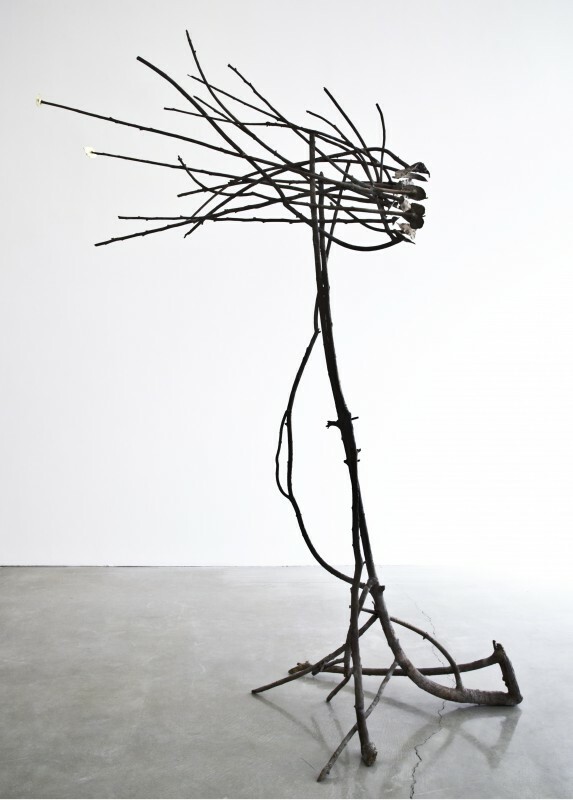 Penone gives his living time to sculpted forms to whom he adds love, listening and veneration. He reveals them, does not change them. Such collaboration with natural forms, artificially replaced by more durable materials, bronze and gold for instance, or questioned by the painstaking labor of carving, refills them with a sense of awe. We receive it; some gold leaves start shining in the hollow of our trunk. We might be trees, piante, arbusti, alberi…rame di corbezzolo. Why not?